A graduate of the University of Florida, Camaura Scott has a background in Forest resource Conservation and Watershed Science and Management. “I am very interested in protecting water quality by means of restoring natural wetlands, reducing pollution contributed by agricultural and residential runoff, and by making sure water policy aligns with provided scientific research,” she said. Camaura serves in the southwest region of Nebraska, including the communities of Lexington, McCook, North Platte, and Ogallala. Throughout her service, she has found that these communities face the environmental issues of limited recycling opportunities, management of pollution from agricultural and urban runoff, and the desire to implement renewable energy sources. In addition to mobilizing communities to solve these issues, she hopes to educate her fellow community members about their water supply, and the steps they can take to prevent water degradation and to improve water quality. Camaura believes that she and her fellow AmeriCorps members have a genuine desire to improve their communities by conserving and protecting their natural resources. 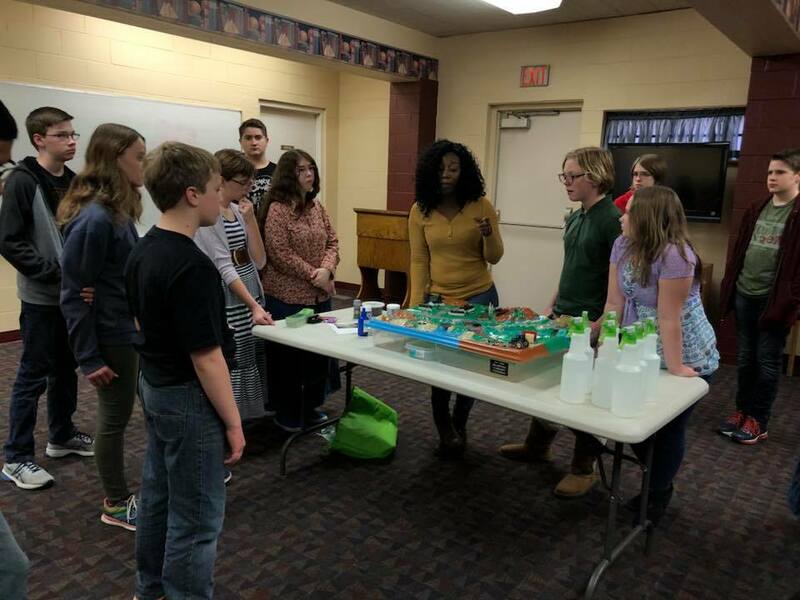 “All Common Ground events are focused on keeping communities and informed involved about local conservation issues and what we can all do to help out.” Thanks for you service, Camaura!